Separately, the reorganisation of the county’s local government has been given publicity by the publication of reports about moving to two unitary councils. Third, the possibility that one county’s predicament is a leading indicator of others’ potential financial distress has gained traction. At the start of August, the FT’s economics editor, Chris Giles, published a remarkable article showing that according to Office for Budget Responsibility statistics, if the government continues with existing tax, spending and deficit policies, then by 2050 there will be no public expenditure at all on local government, defence, housing, transport and many other services. The NHS, State pensions, welfare, education and interest payments would consume 100% of the available cash. Northamptonshire is in part be victim of its own failure to make painful decisions, but it is also indicative of the future of local government. Councils can expect to see their resources on services other than adult social care cut in real terms for the foreseeable future. The ‘fair funding review’, if it leads to any changes in resource distribution, will take existing spending from some authorities to hand it to others. This is a mathematical certainty. But the reaction in Whitehall and elsewhere to Northamptonshire’s plight points to another likely consequence. Most ministers and civil servants believe there are too many councils. This is true at any point in time. The ‘efficiencies’ produced by moving from, say eight councils to two appear to offer a magic way of taking the pressure off budgets. 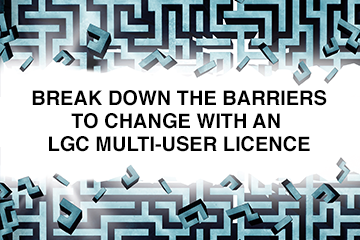 Moreover, getting rid of a tier makes the creation of combined authorities easier. The UK already has the smallest number of councils and elected local representatives of any major democracy. The continuing squeeze on authorities’ budgets risks producing demands for a major reorganisation in England. There will also be pressures for services such as social care to be transferred to financially-protected parts of government. If we are not careful, the centre’s easy option of targeting councils for a decade and more of austerity will eventually make decision-making which is even more remote from voters. Its hard in much of the country to get high-quality political leadership and officer leadership at director and service head level is hard to come by. Going for single tier, pushing social care to the nhs is urgent. In areas where there are small unitaries they need merger quickly. How can Berkshire have 6 directors of adults and 6 for children, 6 ceo's its a nonsense and everyone knows it. "The UK already has the smallest number of councils and elected local representatives of any major democracy." Only if you don't include town and parish councils in the UK, but include similar sized councils abroad. Not sure why people do this. We need to ask the question do we want Local GOVERNMENT or merely Local ADMINISTRATION..if the former than large Geographic areas cannot exist as the concept of locality is impossible-it seems it is the large shire county councils(not the same as historic counties) are the current main sufferers but perhaps their position has been exacerbated by the short term decision to freeze council tax when they had opportunity to actually raise the tax?